Life Lessons: 1. The road less travelled is not always the road you should take. 2. If you plan on climbing a plane crash, bring gloves. Yes. 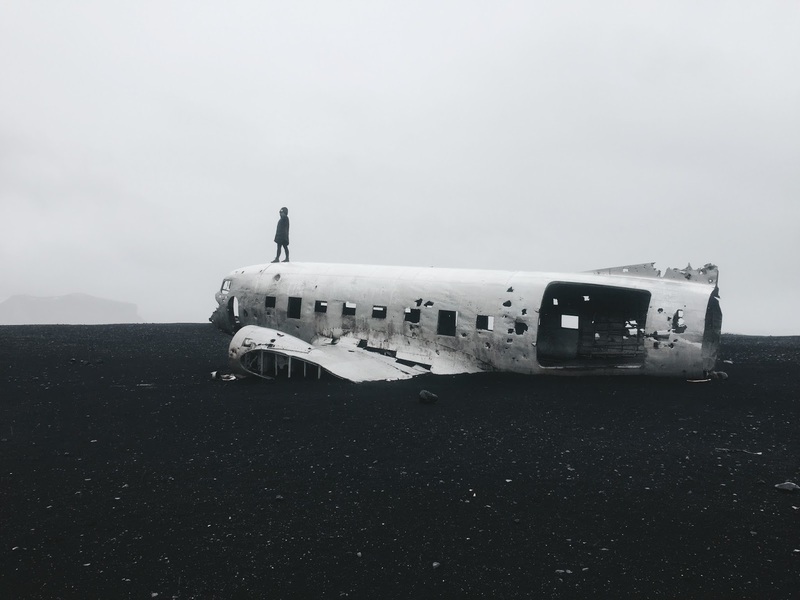 Those are the 2 major lessons we learned while trying to find a plane crash on a beach. I mean pffft, how hard could it be? We did our research. But, no blog, no person, not even Google Maps or Alexa was able to lay it out straight for us. So we got out of our car at the 'said-to-be-parking-lot' and hopped the 'said-to-be-locked-fence' and giggled off into the abyss. Two hours later, it's pelting rain-hail. We're climbing sand dunes. We're crossing a freezing cold river in our bare feet. My feet look like blueberry muffins. Where the F is this ginormous plane? That whole experience was just a huge L O L because when we finally did find it, there was a really nice path with beautiful yellow reflectors that leads you right back to the beautiful carpark. Now, a brief history (because A. history is cool) of how it all went down. Literally. Sorry, not funny. 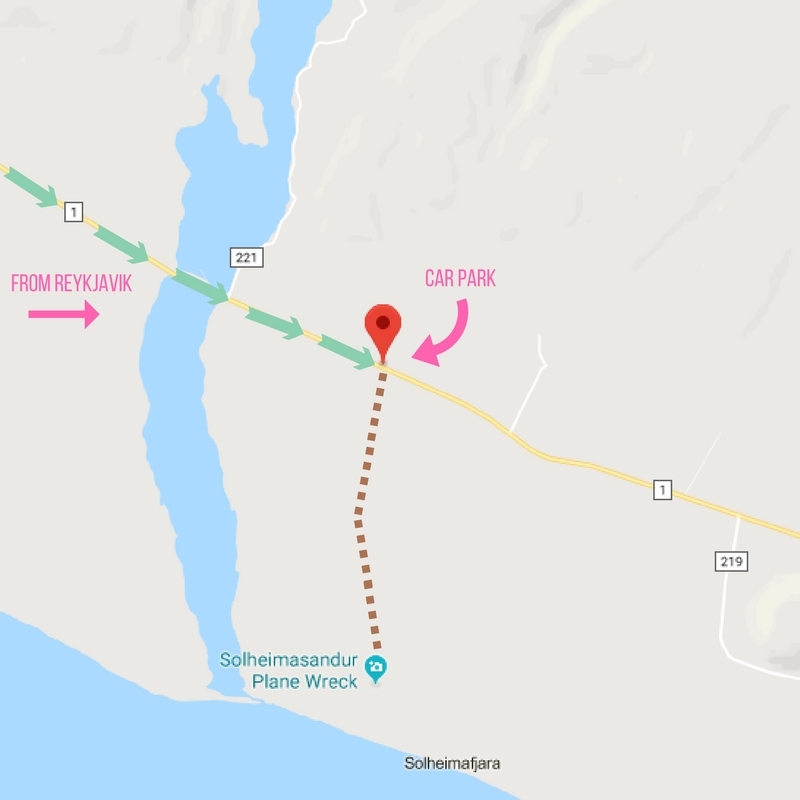 On Saturday Nov 24, 1973, the United States Navy Douglas Super DC-3 airplane was forced to land on Sólheimasandur’s black sand beach due to ... well no one really has an exact answer. Some say the plane simply ran out of fuel after the pilot switched to the wrong fuel tank and others say it had to land because of a nasty ice storm it was flying through. Whatever the reason, the crew survived the impact, but the plane was abandoned rather than recovered. And there it lies still. It's extremely simple nowadays. 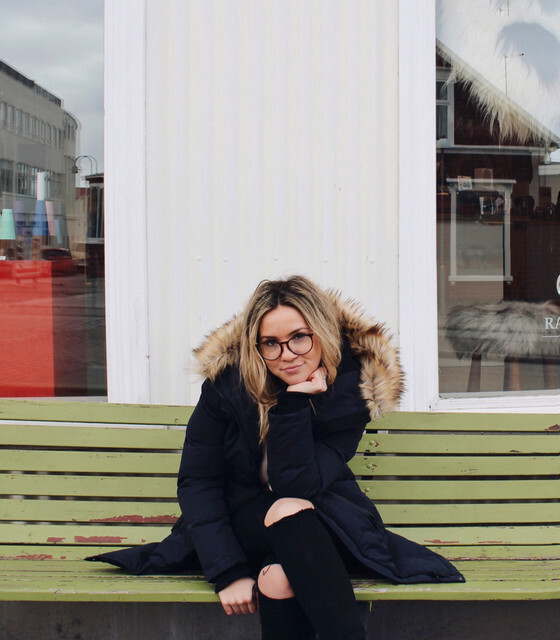 After becoming a dream location for photographers and visitors world wide, Iceland has taken to it to make sure you can find your way. No problem. Easy peasy. Just make sure you're prepared to walk about an hour to the plane, and an hour back. Lace up those Asics people. Now, get ready to walk. In the wind. On a sandy beach. For an hour. The path you're going to take has nice yellow reflectors to keep you on track so you don't get lost. Cause you might. It's about 4km to the plane, with never ending views of the black sand beach. So enjoy it, becasue you won’t spot the wreckage until the last minute because it’s hidden behind a sand dune near the edge of the ocean. Get there early and beat the crowds, that's my advice! And if you want to climb to the top of the plane, bring some gloves. There are holes at the back left of the plane that someone must have carved out so you can stick your foot in there and hoist yourself up! Definitely take some time to soak up all the black sand beaches, especially in Vik. We loved them, they're so unique and mysteriously beautiful. Let me know how your experience here went!